Childhood obesity is still a major problem in the United States, affecting millions of children and adolescents between the ages of 2 and 19, according to the Centers for Disease Control and Prevention (CDC). 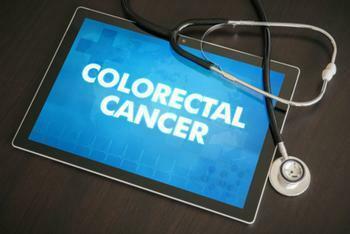 There are numerous risks associated with being overweight or obese at this young age, but new research has found that the risk of developing colorectal cancer is particularly worrisome. Researchers from Tel Aviv University in Israel conducted a massive, long-term study and found that higher body mass index (BMI) scores correlated with higher rates of both colon and rectal cancer. "This is a huge cohort with a minimum follow up of 10 years, and all individuals had measured BMI, not just reported or recalled," said Dr. Zohar Levi of the Rabin Medical Center. "This is the largest study ever, including both men and women, and it had the power to prove the importance of BMI at age 17 on events later in life." Levi and his colleagues analyzed information on nearly 1.1 million Jewish men and over 700,000 Jewish women who took part in health examinations that measured their BMI between 1967 and 2002. Participants ranged in age from 16 to 19, and assessments were followed up in 2012. With a median follow-up period of 23 years, the researchers said that 2,967 new cases of colorectal cancer were identified in participants, and that being overweight or obese was associated with an increased risk of 53% and 54%, respectively. The researchers found particularly strong ties between obesity and rectal cancer, with obese men having an increased risk of 71% when compared to non-obese men. Obese women were twice as likely as non-obese women to develop the disease. While the authors admit that their cohort had shortcomings -- including lack of data on diet, physical activity, and smoking habits – they say that their results represent a strong indicator that obesity and colorectal cancer rates are linked. The full study has been published in the journal Cancer.